This 50-year-old Ektachrome (E-1) slide has lost more than two-thirds of its cyan dye and has developed an overall red stain. In addition, it has a bad case of the "measles;" there are yellowish spots all over the background. 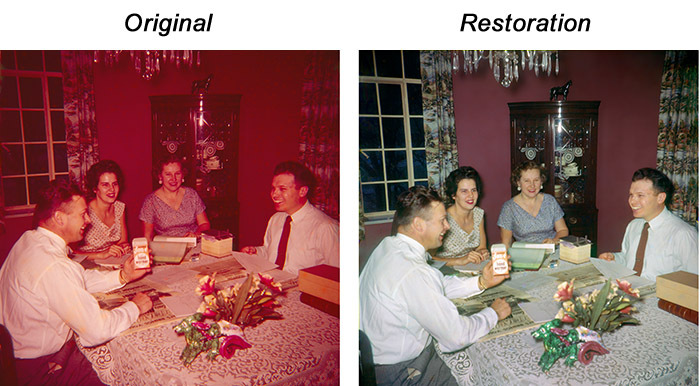 If that were not enough, the amateur camera and flash that made this photograph produced severe vignetting and chromatic aberration (color fringing).